Home / Uncategorized / Are You Thankful? Over the last several months, we have been doing quite a bit of work for the military, with separate projects running for the Department Of Defesne and Air Force. This was new territory for us. We really did not know what to expect. 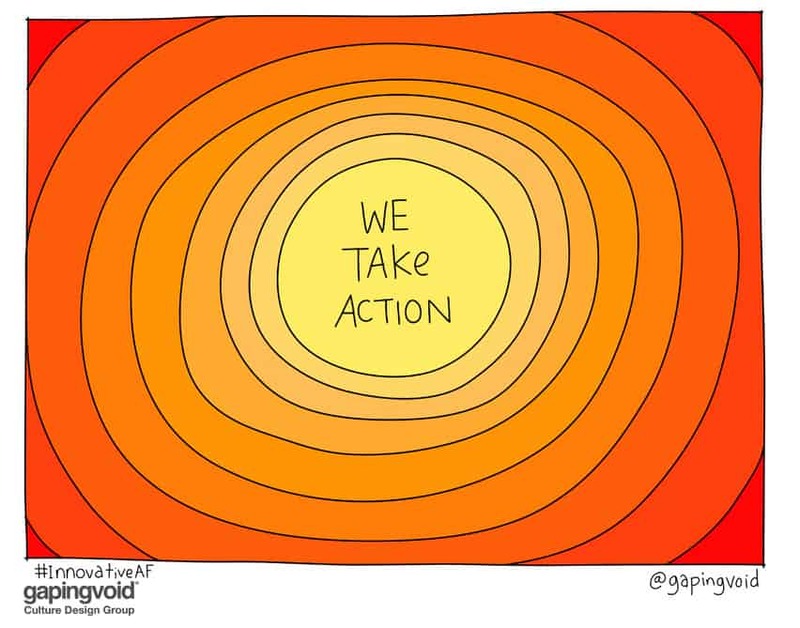 What we found were many passionate, dedicated and super smart people who are all serving with a deep desire to improve this world. We’ve learned about threats that we had no idea existed and have a new respect for the people who are dedicated to keeping us safe and strong. Nearly half of the subscribers to this email are outside the U.S., and for those folks you should know that from what see, the US military is not political, they are not swayed by the drama of the day, and they are focused on helping keep our world as stable and safe as possible. It is really cool to see the toys close up. We also got to spend an hour in the world’s largest Anechoic (SP) Chamber. Whoa. 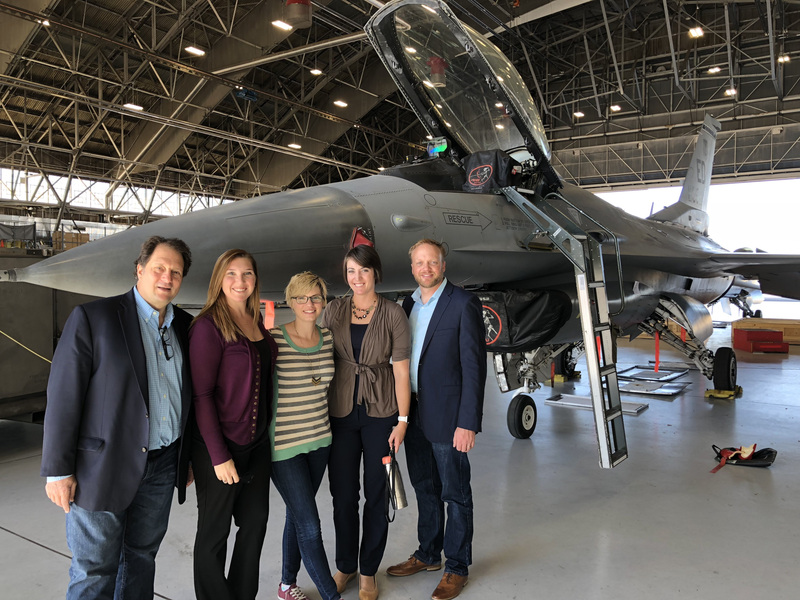 Below is a photo of the Gapingvoid and Edwards Air Force Base innovation teams in front of an F-16. While the F-16 is 1980’s technology, its max speed is still classified, watching one take off and climb is truly breathtaking.